Whoever invented the concept of Pre-stitched dupattas deserves a standing ovation! This is a freaking awesome trend which can fix any woman's outfit problems half way. The one thing which is vital and unavoidable about an ethnic outfit is a dupatta and the same thing can get rather unmanageable at times, especially if you are wearing a heavy outfit with embellishments. The moment I spotted this beautiful floral pre-stichted dupatta on Samantha's Ridhi Mehra label lehnega, I couldn't stop myself from writing this post. Samantha looks like a doll here and I can't stop loving her wonderful outfit. 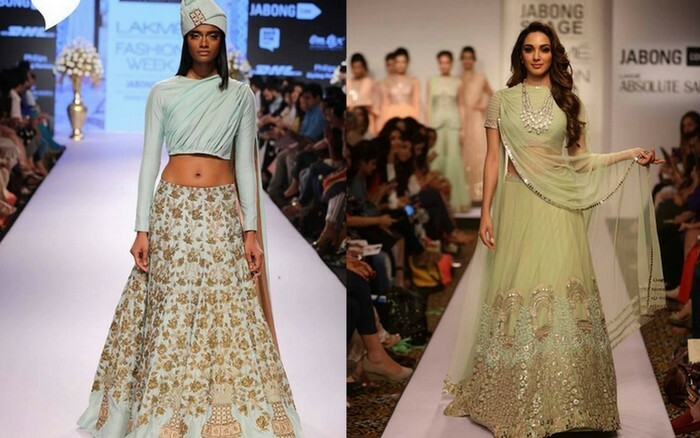 For a person like me who is not keen on showing her belly while wearing a lehenga, this outfit is a dream come true. Outfits with pre-sticthed dupattas are hot on teh ramp and this is defenitely what I will be loking for the next time I go shopping! 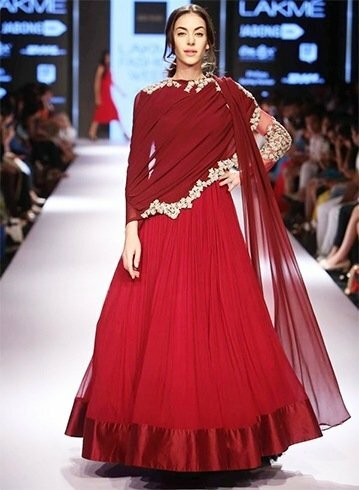 How To Get This Look On Budget: Choose a dupatta drape of your liking and go to your local tailor/boutique and get the dupatta stitched as per your liking :D You can ask them to stich it in a light way so that you can have the stitch removed later and wear the dupatta loose too! Loads of love to this comfy trend!